I hope you will also join us in the Personal Goals and Priorities in 2015 linky below and let us know how you are doing with your personal and blogging goals. More information to follow below. I reported last month that I would be telling you about what changes were coming along with my blog and the problems it was having. I knew my blog had some issues back in January, but I didn’t know it was worse than I thought. I was still able to do posts and go as normal, but the blogs working components were suffering. I needed help to find out what was going on and thats when I met MaAnna with BlogAid. She will do an audit of your site and let you know what is going on. After the audit, I found out my blog might have been hacked. I already knew that my server had been hit with a DDOS and from that my blog now has a dedicated domain. I still have a minute or two down time from my server, but much better than before. I must say, I was so impressed with MaAnna of BlogAid. After her initial audit, she sent me a To Do List she sent to me via Google documents of what needed to be done. I knew my site was in bad health, but not that bad. I did have my website checked for viruses and other hacking and it ended up being clear of that. We worked in phases from the To Do List, so I could see what needed to be worked on next, what were changed (she kept notes on the documents through out the whole process) and she talked to me in a tech language I could fully understand. I had pretty much non existent security, other databases that shouldn’t have been there from older blogs, needed a much better backup system (I was backing up on my server – not good and needed to be off site) and a lot of plugins that were causing conflicts with other plugins. Security was most important with me and she added that for me internally. Something I could never do. So much was deleted also from internal files in the databases. Now there is only one database, where there were 3. I now use Backup Buddy for backing up and the file is sent to my Amazon S3 account. You can read MaAnna’s report on 3 different backup systems. You can get 25% off of Backup Buddy and storing on Amazon S3 is Free for 5g of storage. Really easy to set up. I had a few conflicts with plugins and those were taken care of after renaming them and checking to see what happened when they were turned off. Thirteen plugins were deleted. Mostly because I didn’t need them anymore. My next thing to do is take her video class on the Yoast SEO plugin and to learn more about SEO. Its so important to help find your posts and your blog in searches. I want to start doing this right and going back to fix old posts with the right SEO requirements. If you have a chance, be sure to stop by BlogAid’s website and look at all the tutorial videos you can watch on virtually anything that has to do with a website, setting it up and keeping it in great shape. She had a podcast last week on different Pinterest plugins you can choose from. If you miss any of her live classes, she will have it ready for you to listen to in a few hours on her website. I really love her page on all the different plugins she recommends. She will test them and make sure they work correctly before she recommends them to us. Be sure to sign up for her free ebook What Every Site Owner Should Know. You can find it on her home page where you sign up for her emails. Tips for Tuesdays emails are always interesting. After all her work, changing my theme to something more readable on mobile devises, I couldn’t be more pleased with the results. My blog is over 7 years old and there was old baggage that needed to be purged. My upload speed is MUCH better and my grade card wasn’t all F’s (the bottom of the picture) anymore. I still has some pictures and old posts to take care of which I will be able to do on my own time. 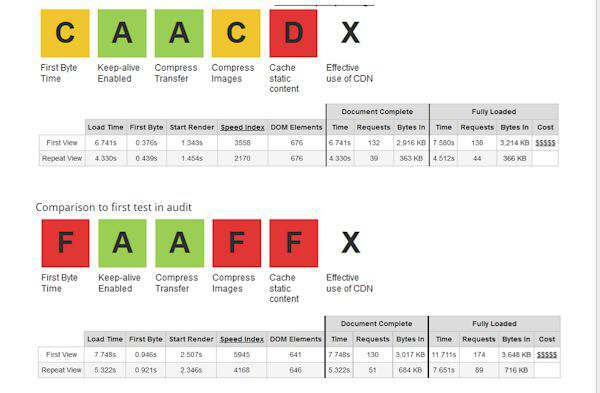 Stop by WebPageTest or GTMetrix to see how your website looks on a performance scale. Remember, what works on my website may not work on yours correctly. Be sure to check out any changes you need to do before you do it and always backup first. No affiliates on this post, just a product I love to let you know about. Goal reach right now is to have 10,000 views in a month! I am really happy about my social market going up in new likes. And I give a lot of the credit to all the different Facebook groups I like and how we all share our social media with each other. There are so many out there to choose from in Facebook land. 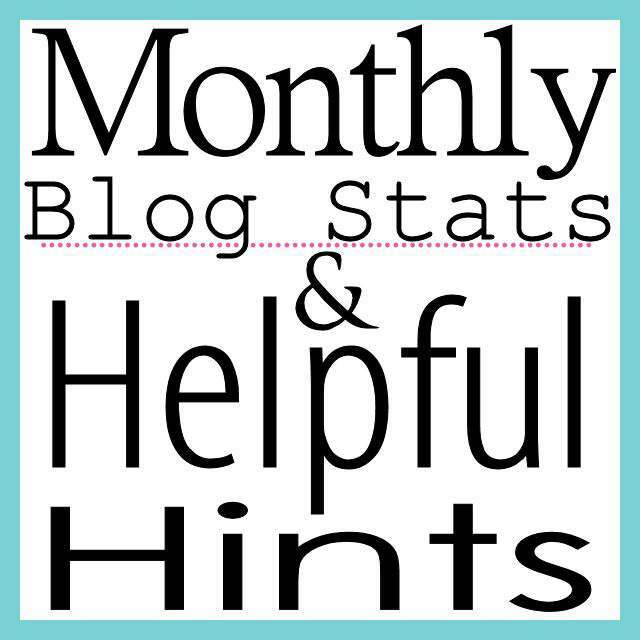 If you have any questions about any of the items discussed, please let me know and be sure to check out my past posts for Blog Stats & Helpful Hints. Wow, sounds like the audit was worthwhile. Glad things are on the mend for your blog. I need to do better with backing up my blog. Thanks for the tip about S3. Tammy, delighted that your site is on a firm foundation now and running so much better. And, tickled that you are fully able to do anything on your to do list now yourself and know how to keep your site secure and performing well. It’s been great working with you on it!!! And thank you wo much for sharing your journey with it!! I use BackUp Buddy and Amazon s3 too–I am over the free time, but it still only about $1 a month. Crazy cheap! Great job! Oh I am checking BlogAid out RIGHT NOW! Thank you so much for the suggestion! Great tips, Tammy!! Thank you so much for sharing! I’ll definitely have to research this more!! Have an awesome week!! Thanks CD. BlogAid is worth a look just to see all that she does. Yikes that is scary that your blog was under attack but it is good that you’re getting your problem solved. Great job on your blog earnings, keep up the good work! Louida, it was scary there for a couple of weeks. Nothing was working right. But now its all well and I’m just glad I found someone to help with the healing process. Thank for sharing! I will check out Blog Aid ! Thank you so much for the suggestion! Thanks Keren for stopping by. I think you will love her website. That’s wonderful that you were able to get your site fixed! I am having some issues of my own with comments right now and I’m very tempted to check out BlogAid to see what they can do. Thank you Holly. It was such a relief to finally get things going again. I hope her website will help you out too.